The effect of thermal annealing on shot-peened Type 304 stainless steel has been examined using electron backscatter diffraction (EBSD) and X-ray diffraction (XRD). The objective was to evaluate the potential for surface property control by grain boundary engineering. The near surface microstructure of shot-peened material showed a gradual change of the grain boundary character distribution with depth. Twin (Σ3) and higher order twin grain boundaries (Σ9, Σ27) identified closer to the shot-peened surface had significant deviations from their optimum misorientation. The subsequent application of annealing treatments caused depth-dependent changes of the near surface microstructure, with variations in grain size, low Σ CSL grain boundary populations and their deviation from optimum misorientation. Microstructure developments were dependent on the applied heat treatment, with the near surface microstructures showing similarities to microstructures obtained through bulk thermo-mechanical processing. Shot peening, followed by annealing, may therefore be used to control the near surface microstructure of components. The authors are grateful for the support of Rolls-Royce (Marine) Ltd. The authors are grateful to Metal Improvement Company for conducting the peening of the 304 stainless steel. 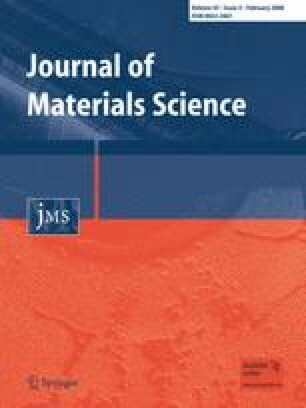 The authors are also grateful for the technical assistance from Judith Shackleton with the X-ray diffraction measurements and Lai Mei Li with the plastic strain measurements.